You couldn’t prove it by me, but there’s a covered bridge somewhere northeast of Paris, Kentucky. This covered bridge. 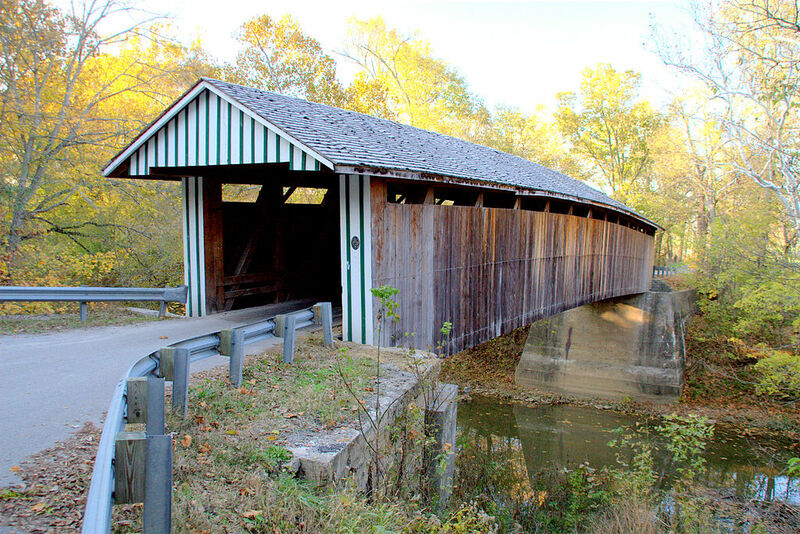 The Colville Covered Bridge was built in 1877 and is one of only 13 covered bridges left in Kentucky. It’s a bit north of Paris in Bourbon County. Actually, Wikipedia is a bit more specific: it’s at Hinkston Creek – four miles northwest of Millersburg. It’s about an hour north of where I live in south Lexington. According to GPS, I should have been able to take U. S. Highway 27 from Lexington to Paris, then Kentucky Highway 1940/State Highway 1893 (the Millersburg-Ruddles Mill Road) east to State Highway 3118 and arrive at Colville Covered Bridge on Colville Road. That’s all well and good, except there doesn’t seem to be a Colville Road, at least not one that’s marked. I did find a small sign with an arrow pointing up that unmarked road to Colville Covered Bridge. I went back and forth on it several times, but it took me to a Y that dead ends at either a house or down a long lane to a farm. No creek, no covered bridge. I finally gave up for the day and headed back home. 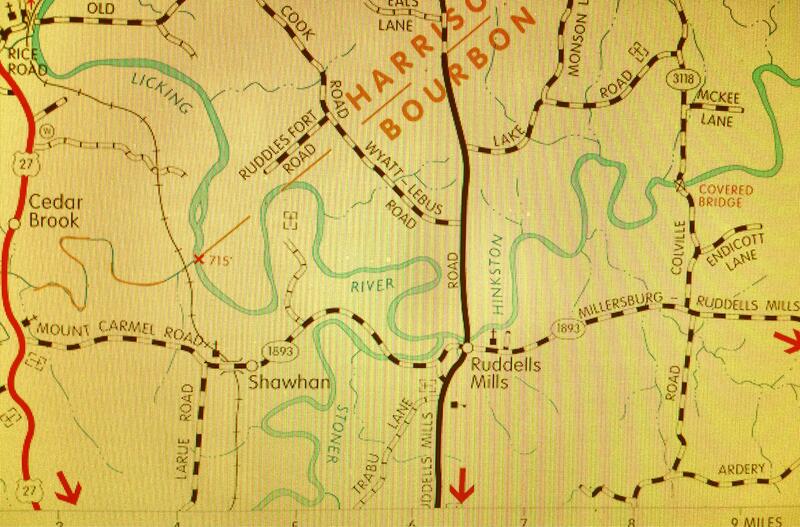 Once I got home, I did some research online and came up with this map at the Kentucky Atlas & Gazetteer website (http://kyatlas.com/ky-ruddells-station.html). Apparently State Highway 3118 and Colville Road are the same thing, so that should help to know the next time I try this day trip. This is just one more reason to be sure you take an actual highway map along on your Kentucky day trips. GPS often lets you down and cell phone reception comes and goes when you get out in the rural areas. Oh, and be sure to fill your car up with gas! I almost didn’t and I would have been in big trouble since I didn’t see another gas station after I left Paris. Posted in Covered Bridges, Day Trips, Kentucky, Road TripsTagged Bourbon County, Colville Covered Bridge, Hinkston Creek, Millersburg, Paris, Ruddles MillBookmark the permalink. We’ll show you some New Hampshire covered bridges when you come here. We managed to track a couple of them down in previous years. Enjoyed your outing, even though it didn’t result in a bridge sighting. We sure did our best to see some covered bridges when I was in New Hampshire–you can’t say we didn’t try! Oh, good! The only one I’ve ever seen was in Missouri. I try to take these day trips as they come, so it was a fun outing even though I didn’t find the bridge. I stopped at Ruddell’s Mills on the way back. There was a historical marker with some interesting history.